It’s tough being an animator. While Japanese animation is currently having a lot of success both at home and abroad, many anime studios don’t seem to be enjoying the benefits. It is hard to churn out one hit after another while working on a tiny budget, and although most studios manage to barely survive the harsh business conditions and fierce competition, a few of them end up going down for good. That’s what happened to Manglobe, which filed for bankruptcy in September 2015 after going 550 million yen into the red. 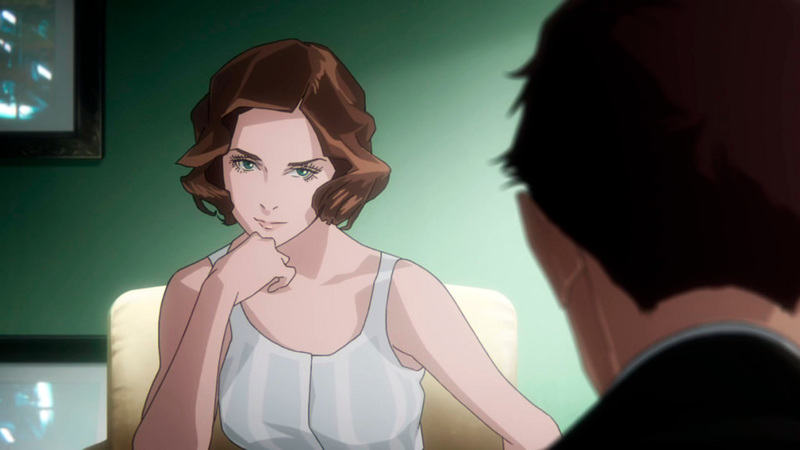 At the time, the Tokyo-based studio was working on Genocidal Organ, an adaptation of Project Itoh’s famous SF novel. 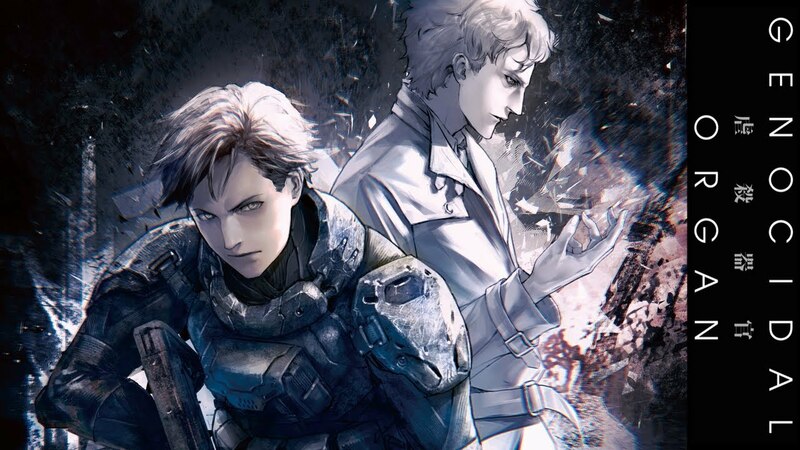 Genocidal Organ was part of a Project Itoh trilogy, but while the other two films were released on time (by different studios), this one was delayed indefinitely. Eventually, the film was rescued by producer Koji Yamamoto’s newly founded Geno Studio. For many years, Yamamoto had served as the producer for Fuji TV‘s famous late-night programming block noitaminA (showcasing such cult anime series as Eden of the East and Anohana) before going independent and establishing Twin Engine in 2014. All the Anime caught up with Mr Yamamtoto at the Toyop International Film Festival. How did you become Genocidal Organ’s producer? It started several years ago when I was still working at Fuji TV. At a company meeting we decided to buy the rights for Project Itoh’s book. However, at the time another company had the rights, so we had to wait until they expired. In 2015, I heard about Manglobe’s troubles and when they went bankrupt I decided to step in. I heard Geno Studio was established with the specific purpose of completing the project. Yes, it’s true. At first I tried to get other studios interested in this film, but nobody would touch it. I thought that starting again from scratch would have taken too long, but it’s also true that taking up a project midway through production is very hard because you have to sort out the pre-existing materials, so nobody was interested in continuing Manglobe’s work. Eventually I created Geno Studio. At first we considered limiting ourselves to a one-off project but in the end we decided we wanted to go beyond Genocidal Organ, so this film became just the first step in a bigger adventure. We are already at work on two new anime series. 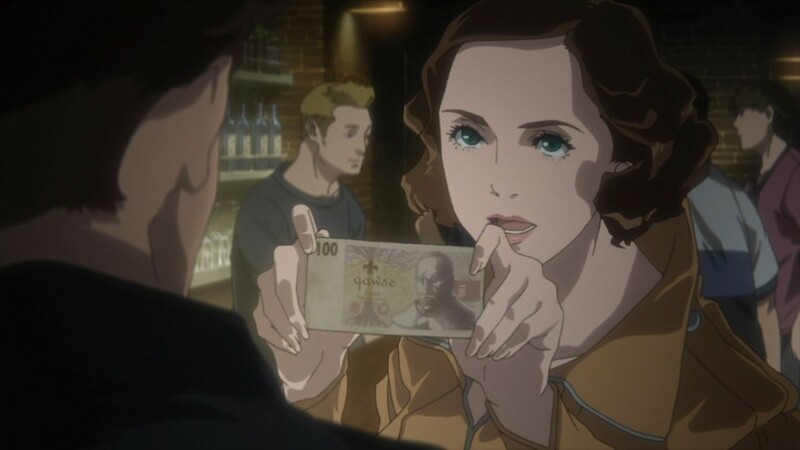 Genocidal Organ is the last part of a trilogy devoted to Project Itoh’s novels – the first two being Harmony (2015) and The Empire of Corpses (2015). Project Itoh (real name Satoshi Ito) was very famous in Japan as an SF writer. Why do you think his books are so interesting? Project Itoh’s work was always full of surprises. Both his stories and the way he tells them were quite unique and never predictable. He liked to seduce and deceive his readers. We never feel at ease and are always left wondering what’s coming next. I think that’s his best quality. 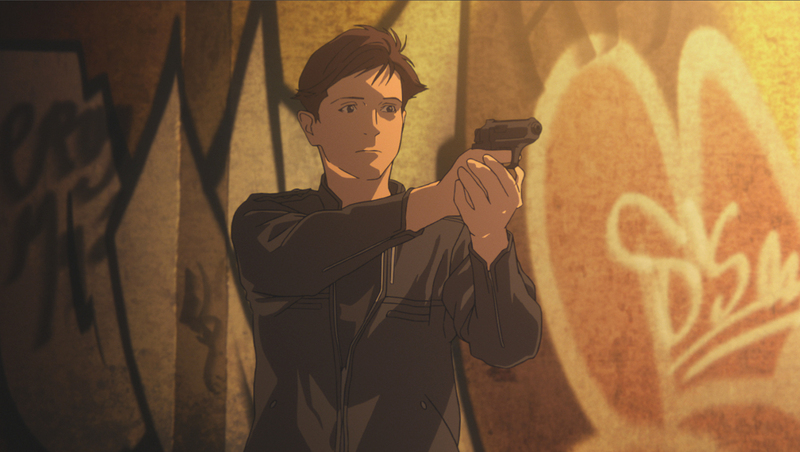 Compared to other SF anime, what do you think makes Genocidal Organ so special? Many SF movies’ settings are quite unbelievable. They take place centuries from now and in order to enjoy them we need to take a leap of imagination. Genocidal Organ, on the other hand, is set in the near future. Also, it’s a believable story told in a very realistic way. This allows the viewer to establish a stronger connection with the story and care for the characters. The film was directed by Shuko Murase, who is mainly known for being an animator or director of many Gundam series, and contributing the character designs and key animation to New Mobile Report Gundam Wing. How was working with Murase on this film? I honestly believe Murase is one of Japan’s top three anime directors. Most people excel at one job, be it drawing pictures, camera work, etc. But Murase can do all of these things very well, including screenwriting and CG work. Manglobe went down because of its debts. How did that happen? Anime production is based on operating in the red. The movie-making system allows companies to borrow money and run up debts. Geno Studio was created in the same way. On one side this structure helps studios make new films and series but on the other side they are constantly put in a dangerous position. This October, for example, a number of TV series were not released because they couldn’t be finished on time. In Manglobe’s case many things went wrong at the same time during a particularly low moment for the anime industry. For several years, for example, the foreign market hadn’t been very positive. There was a negative trend, particularly if compared to the time when titles like Dragon Ball and even Manglobe’s Samurai Champloo were released. In a sense, Manglobe was just unlucky. If they had managed to hold out for a little bit longer they would have probably survived. Manglobe was particularly famous for its original stories. However some of those series didn’t fare so well on the market thus affecting the company’s fortunes. Ergo Proxy, for instance, was more popular abroad than in Japan while Samurai Flamenco was a flop. Ha ha! Yes, I was actually involved in some of those productions including Samurai Flamenco. Is it really so risky to make original anime in the current business environment? It’s also true, though, that the studios don’t stand to gain a lot from anime adaptations of manga stories. For one thing, they don’t get to share the royalties because they are only hired on a per-project basis. That’s true, but it’s definitely easier to work on a manga story. First of all, you already have a fanbase that is likely to watch your anime. You also have a ready-made story to work on and visuals to inspire you. Such anime projects always get finished. But when you make an original film or series you are working in the dark, never being sure about what direction you should take, and especially never being sure if and when your work will be completed. That said, at Geno Studio we are planning to make our own original stories. According to publications like the Anime Industry Report, Japanese animation is getting increasingly popular around the world and the anime market seems to be strong. And yet many studios are constantly fighting to survive. Among other issues being currently discussed on the Internet, it seems that too many anime works are made every year and there are not enough animators to work on all of them. Also, animators are not paid enough. What do you think about this? You are right about the lack of animators. When you count the new series, the old ones that continue from past years and other projects, I think about 70 anime are made every year. I myself can’t possibly watch all of them. Nobody can! I’m pretty sure most fans end up choosing a few favorite series to watch and give up on the rest. Production-wise that’s definitely a lot of work and the available animators are spread thin among all these projects. It’s not the ideal situation. As for the animators’ low pay, it’s true that many are struggling. On the other hand, though, there are quite a few animators who work on 3-4 projects at the same time and are very well paid. So it’s not as bad as some people would like you to think. Obviously being freelance puts you in a difficult situation, so the best thing to do, whenever possible, is to hire animators full-time. Before starting your production company Twin Engine you used to produce the very popular noitaminA late-night anime series for Fuji TV. Why did you leave Fuji TV and how does you current job differ from the past? After working for many years producing anime series for TV I felt like I wanted to do something different. Certainly, from a business point of view, starting a new studio with a feature film can be risky because of all the work and money involved. Every time you start something like this you get deep in the red. But that was a risk I was eager to take. So in a sense Manglobe’s bankruptcy came at the right time, and I’m very happy I took up the challenge. As for comparing these two working environments, I would say they actually don’t differ that much. Probably the biggest difference is that at Twin Engine I get a lot of ideas and proposals that I didn’t get at noitaminA, even from abroad. So you are reading my Tweets! Yes, I admit I was very naïve when I started my studio. Every time it’s like putting my life on the line. At the same time I enjoy making anime so it’s okay. The problem is that so many people quit all the time. This is a high-pressure working environment and in order to make it you have to endure this pressure and keep things going even through the bad moments. But too many people get into this job without realizing how hard it is, so they quickly get scared and give up. I can’t possibly work with such people. Anyway people at Geno Studio haven’t quitted yet so I consider myself lucky! Gianni Simone is the author of Tokyo Geek’s Guide. Genocidal Organ is released in the US by Funimation and in Australia by Madman.